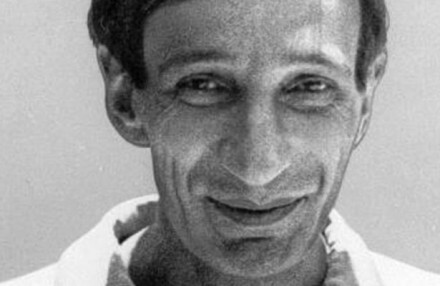 In 1996, Ivan Illich (above) agreed to speak at Doors of Perception in Amsterdam on the theme of ‘speed’. The philosopher-educator surprised us by bringing along two fellow speakers: Sebastian Trapp, a field biologist, and Matthias Rieger, a musicologist. Their contributions are as fresh today as when we heard them in Amsterdam – so we are running them again in three parts. This is part three, the concluding remarks of Ivan Illich. First let me thank the organisers of this conference for challenging us to prepare an intervention. My circle of friends in Bremen owe it to your programme that we have examined a neglected subject, the historicity of speed. Let me take you right to the core of the issue by expressing my thanks in old-fashioned English: Michiel, ‘God speed thee and thy close!’ Milton’s words would fit the occasion well. ‘To speed’ then meant ‘to prosper’ and not ‘to go fast’. We come here as a trio to give you a sense of the conversation you have provoked among us. Like myself, Matthias Rieger the musicologist, and Sebastian Trapp the limnologist, owe you a debt. We began to focus — each in his domain — on speed as an age-specific phenomenon. The three of us, a historian, a musicologist and a biologist, are by no means alone. Just as speed played no role in the performance of music, falconry and fishery, so commerce, medicine, and architecture, until the seventeenth century, thrived without reference to it. While preparing for this event, each of us became aware of distortions people tend to project on past epochs when they look back with the prejudice that the idea of speed was relevant for Aristotle, Archimedes or Albert the Great. From the programme of the conference, and from the tone of those lectures I have heard so far, it is obvious that I am addressing people imprisoned in the age of speed. Common sense tells them that some idea of ‘space over time’ and, more generally, ‘process correlated with time’, is part and parcel of all cultures. The task incumbent on the three of us, then, is that of shaking your common sense. We know that the idea of speed is assuredly historical. Starting with the late Middle Ages, concern with speed emerged and, step by step, decisively contributed to the era of machines and motors. By 1996, the historical Epoch of Speed lies behind us. During that time, homo technologicus had been harried by the experience of speed: from home to factory, through schools and jobs, from work to vacation, forever suffering time-scarcity on a tight schedule run by the clock. Rush shaped the mood. If today you are still hurried, it is a mark of your privilege, a sign that you have not yet been forced from the culture of time-scarcity into a new period of the megahertz and unemployment. RPM and labour-power are eclipsed by MHz. Transformations in production, switching from employees to computers, from classroom to the Internet, from clerks to credit cards, have not prepared us for this new culture, the age of the megahertz; it is based on the speed of light. In this new epoch, also the age of the constant c, real time processes simulate global omnipresence, and do get us electronically from here to there, but the experience of the in-between, which fed the speed addiction of modern man, is gone. Here I am with my conviction. Call it an insight or a prejudice or take it as an outsider’s possibly fruitful hypothesis: the Age of Speed had a beginning, and we talk about its history because we witness its end. Made into outsiders by this conviction, we address an assembly of professionals who search for methods to incorporate speed into the crucial dimensions of design. In this plush theatre, I witness a conversation on the speed appropriate to human existence; soul searching about the moral demands placed on designers by self-proclaimed ‘slobbies’ (slow but better working people) who plead for designed deceleration; planners who discuss high and low, fast and slow, endurable and destructive speed. These are the people we are called to inform. They are professionals, self-imprisoned by the certainty that speed encompasses everything, but needs proper control. It’s speed which matters for them, which matters like the term for the man in jail. As I ruminated on this fixation, I was reminded of a meeting in Oslo last year. A conference was held at the Northern Academy of Science, organized by Nils Christie, the criminologist, the one who writes on Gulags, western style. In all political jurisdictions today, the Gulag now grows at a faster rate than other types of welfare institutions. The meeting brought together the heads of prison administration in fourteen countries, from the general who runs Russian prisons to the Federal Commissioner of Corrections in the USA. The theme: brakes that have to be put on this growth. I listened to three days of country reports, and then led the final day’s discussion. I was impressed by the unanimity among these top wardens. Each report stressed that prison terms do not accomplish what they are meant to do: they do not prevent crime, do not correct tendencies or behaviour, and do not punish to the satisfaction of the prisoner’s victims. The chief jailers present insisted that prisons are useless, but all of them nevertheless advocated more funds to improve the job they do. My task was to make a summation. Professor Christie wanted me to place this conundrum into a historical frame. I happen to know the ‘Prince’s Mirrors’ medieval books about the duties of lords. Christian princes were forbidden to use the tower as a punishment; it was confined to housing people until public execution, torture or mutilation. How should I explain that all modern societies make costly investments in prisons that have proven ineffective in any of the purposes assigned to them? How should I explain the readiness of criminologists, politicians and taxpayers to support the costly job of wardens? How should I understand the reason for the unreasonable certainty that Gulags must be? To answer these questions, I must first determine the effects of the Gulag. What the Gulag does is counter-productive, if you measure it against the purposes that imprisonment is supposed to serve. The institution obviously does the opposite of what it is meant to do. So, let me examine what the Gulag says, focusing my attention on the Gulag not as a tool but as a sign, a sign for those willing to pay for it, rather than a sign for those held in it — prisoners and wardens. I must come to hear what Gulag says to those who finance it, because they are stuck with the need for it. What each story or news item about the expanding Gulag says to them is: Unlike those in for a term, you are free! and, You must enjoy this freedom! You are free in spite of jumping at the alarm clock and punching in with the time clock, regardless of how long you wait to see the welfare worker for your unemployment benefits. Being outside prison, you have wider educational opportunities. You have options to select among offerings, but only if you translate thirst into a desire for a Coke… or a Pepsi. You have good reasons to forget about water, because what comes from the tap is bad for your health. You enjoy a choice of selections in a range of alternatives much larger than that of the man in for a term. The Gulag tells you, ‘Pick your preference!’. In Oslo, I was faced by prison-providers, both experts on the counter-productivity of the Gulag and administrators committed to its quantitative development and qualitative improvement. What kind of assembly could I compare them to? I addressed them as cardinals, but I really thought of Pueblo shamans at a rain dance. The shaman prepares for the yearly dance that must be celebrated in the village, but he also has the authority to declare why the rain does not come, in spite of the ceremony. It does not rain because somebody goofed up in the dance. Sociologists use the rain dance as a technical term for a myth-making ritual, a mythopoeic event that generates belief and confirms social dogma. Max Gluckman speaks of such ceremonies as a social pattern that blinds all participants — be they priests or faithful — to the contradiction between the rite’s alleged purpose and its effects. The liturgy is meant to bring rain, but in fact establishes the need for the dance. For some years I have looked at the great service institutions of modern societies, not just for what they do, but also for what they say; not as productive agencies, but as myth-making rituals. In my jaundiced view, compulsory school is a rain dance performed for the sake of equality, but in fact provides society with the certainty that school must be. Looking for actual results, one can find the grading of twelve levels of class-specific dropouts. In a similar way, modern penologists claim that imprisonment, even capital punishment, maintains the state’s sovereignty, based on the need for an agency to define crime and punish criminals. Today, with my two friends, I want to underline the ritual, ceremonial myth-making function of design. Here I speak to a very special kind of shaman — not teachers or physicians, not prison officials or transportation engineers, but designers. They do not conduct, rather, they design liturgy. They do not govern the enclaves, but act as advisers to those who construct them. They are not the progeny of shoemakers or masons, but the descendants of a Renaissance brain child, the disegno. They are experts in the intentional and reflected integration of sundry artefacts; sources of a new weave that distinguishes the Baroque from the Gothic. However, designers not only provide the shape of integration, they inevitably spread guiding assumptions about the principles to which the elements of a whole ought to be subservient. Both the cockpit of the car and the humble door handle sell ergonomics; they tickle and attract your seat and your hand. For half a century ergonomics — things designed to fit the body — has been an assumption spread by designers. But the new given you want to put on the agenda, speed, has the power to disembody. It disembodies one’s perception of the falcon no less than of the Beethoven sonata. That is what my friends Trapp and Rieger have just tried to explain, and that is also my main point. For decades, design has peddled speed, most of the time surreptitiously and uncritically. Faster seemed better. Now you want to open a new epoch with the claim that slow speed can be beautiful, and appropriate speed optimum. You want to open an era of intense speed awareness, and promote it by means of design. You want design that hails the postmodern slobbies: slower but better working people who punctiliously protect their appropriate pace. In the twentieth century, the quest for high speed privileges a minority and consumes the majority’s time. Drive-and-Fly is not everyone’s business, but every person must get around the distance that fast vehicles create. Aerodynamic streamlining sold industrial models of a chair or coffee pot in 1970. The suggestion of speed meant up-to-date, and high speed seemed as alluring as the latest body fashions. What you now propose goes much further: you assume that everything is drenched in speed, the speed you want to control. This cannot but confirm the omnipresence and omnipotence of an addictive fix. Yes, it’s a new kind of fix, a chimera unrecognized before Galileo Galilei, and hard to believe for a century after his death: the idea of s/t, space-over-time. We are here, Trapp, Rieger and I, to stress that neither falconers nor musicians nor philosophers grasped this conflation of space and time. That notion of motion did not fit their world, a world centred on each person, and stretched out before each, to be encompassed step by step. A world in which inns sat at a day’s journey; twelve hours had to fit from morn to night, in winter as well as summer; and squares were measured by feet. Experienced expanse cannot stand in a fraction above lived time. As one of us just said, the experience of speed appalled the first rail passengers. They felt that the train, speeding through the world, required a new word, and adopted ‘landscape’ for places they saw rushing by the compartment window, without ever setting foot in one. We are told that train schedules brought the minute into society, ticking time for the passenger by the whistle of the engine. Speed replaced rhythm with measured beat. Your current pet project offers to moderate this transfer. My friends and I, however, explore the overlooked speed-less zones of experience. We do not seek an escape from the jail of high speed into a world of less irksome restraints; we ask if and where the shadow of speed can be shirked altogether. Beethoven’s experience with the metronome still holds true, and not only for the three of us. When we sing or listen to live music, speed fades. It neither has a grip on us, nor do we feel the urge to control it. Rhythm takes over. When I read hexameters, I enter their rhythm, because I well know that tempo was assigned to antique poetry only after 1630 by zealous schoolmen. Speed is in conflict with aliveness. For people like us, speed is a crude example of historical congeries gratuitously attributed to nature. It comes out of a bodyless lust that lies deeper than the major assumptions on which the modern world is built — the need for an appropriate institutional treatment for crime, education, the pursuit of health, or insurance. Today’s Pantheon is inhabited by these gods, who govern the modern world. But one finds speed in the dark zone beneath them, where the Greeks placed the Titans, the mighty ones who gave birth to divinities. As far as speed goes, my friends and I are nihilists. When Galileo proposed this notion to study gravitational attraction on an inclined plane, and Kepler applied it to calculate the movement of heavenly bodies along elliptical trajectories, they recast physics. They astonished their contemporaries as, three hundred years later, quantum physicists astonished their peers. They had to disembed the click of time from the flow of temporality, and detach abstract space from the here and now, where the three of us try to enjoy life with our friends. I have tried to live as a pilgrim, taking one step after another, entering into my time, living within my horizon, which I hope to reach with the step, the surprising step I take to die. Thomas Curtis van Cleve: The Emperor Frederic II of Hohenstaufen. Oxford 1972. Kaiser Friedrich der Zweite: Über die Kunst mit Vögeln zu jagen. Kommentiert von Carl A. Willemsen. 3 Bd. Insel-Verlag, Frankfurt a.M. 1970. This entry was posted in energy & design, mobility & design, most read. Bookmark the permalink. Post a comment or leave a trackback: Trackback URL.